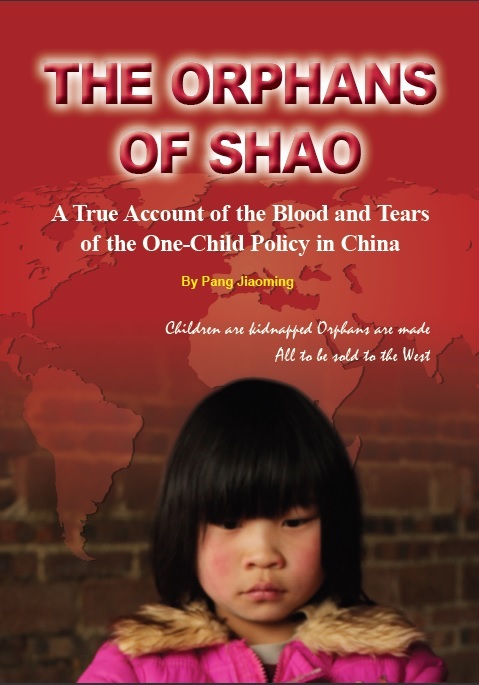 Women's Rights in China | Zhang Ronghua and Her Fetus were Killed by The Birth Certificate. Background : The news about the deaths of a poor pregnant women and her fetus in the Tengzhou Maternal and Child Health Hospital just because she had no “birth certificate”, was spreading rapidly, shocking the public. In order to clarify the truth of this incident, volunteers of WRIC were invited by the victim’s families to visit Tengzhou for a full-scale interview and investigation of this human tragedy, and to promote the judicial process. However, a few months later, facing the court hearing, the victim’s families told Zhang Jing, the head of WRIC, who had interviewed by telephone, that the judge personally warned Zhang Ronghua’s husband Cao Yongzhong that he would stop talking to any organization or media overseas. The amount must also be kept confidential, otherwise no compensation will be awarded. Therefore, Cao Yongzhong asked WRIC not to pay attention to the case anymore. Cao Yongzhong is an ordinary peasant from Wuhu Anhui province, whose home is barely furnished, whose family is very honest and simple; he has a 10-year-old daughter. 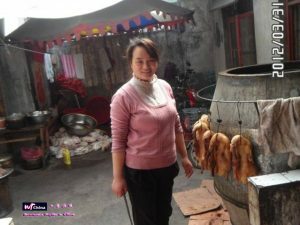 Cao Yongzhong and his wife Zhang Ronghua had been in Tengzhou, Shandong province for more than a decade, they relied on selling roast duck for living in the market, though the living was very hard. No one could predict that a disaster causing two deaths would put the originally happy family into unsurpassed misery! On the afternoon of October 2th, 2012, Zhang Ronghua who had been pregnant for ten months felt that the baby would be born. She was accompanied by her husband and came to the Maternal and Child Health Hospital in Tengzhou to prepare for birth at around 13:00. After the registration, the hospital staff asked them the birth certificate. 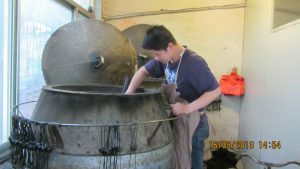 Cao Yongzhong told that they had no one because they were far away from hometown and had always been busy for business. After a negotiation, the hospital agreed to accept them, would provide the birth certificate according to the couple’s certificate of identification and fulfill the undocumented notification, and the deposit must be paid first. After Cao Yongzhong paid a deposit of more than 2,000 Yuan, the doctor checked her and told him that his wife would be normal after the birth. However, Zhang Ronghua had been not permitted to enter the delivery room until 2 a.m. the next day. Cao Yongzhong wanted to accompany his wife to give birth in the delivery room, the doctor asked Cao Yongzhong for a red envelope of 200 Yuan, but at that time, Cao Yongzhong did not have any extra money, so the doctor refused Cao. According to the regulations, a husband has right to accompany his wife in the maternity room, which is conducive to the smooth delivery of the baby, and the doctor asked the family for red envelope, which clearly violated the relevant regulations. In the absence of the birth certificate and the red envelope, the migrant worker from other province was permitted to enter the delivery room after more than ten hours of waiting for the operation of delivery. However, when she went in for an examination, the doctor told her family that her heartbeat was a little slow. He suggested a caesarean section, wanted the family to sign for consent. Then Cao Yongzhong and the nurse pushed the puerperal Zhang Ronghua from the eighth floor to the ninth floor of the operating room. Cao Yongzhong saw his wife was in pain, and further requested to accompany her in the operating room, but was refused by the doctors. He waited outside, waiting for more than ten minutes but then Cao Yongzhong heard his wife screaming constantly. He was very anxious and worried about his wife’s safety. He knelt down several times and begged the doctors to rescue her, but they were indifferent to his request and ignored it. At this time, Cao Yongzhong heard all kinds of alarms sounding in the operating room. Cao Yongzhong stood in front of the operating room, looking up and watching, dared not leave one step, was so anxious that he kept praying and praying. Around 5 a.m., the operating room was calm again. When Cao Yongzhong thought of a lively and lovely baby coming to the world and his family, the previous feeling of worry and fear was just swept away, his face was full of a father’s pride and kindness, and his heart was relieved slowly. Then a doctor came up and told him that the situation was a little bad. Cao Yongzhong was shocked by the news, he and his sister knelt down and asked the doctor to rescue her, if not, they should transfer her, but the doctor said they couldn’t. Again and again, the families asked to go into the operating room to see what happened inside. At this time, a large number of security guards came, there was a huge ruckus between the families and security guards, the families were kept a distance from the operating room resolutely. Security guards had been surrounding the operating room for 2-3 hours. During this period, the families were unable to get close to the operating room and did not know whether the mother was alive or dead. 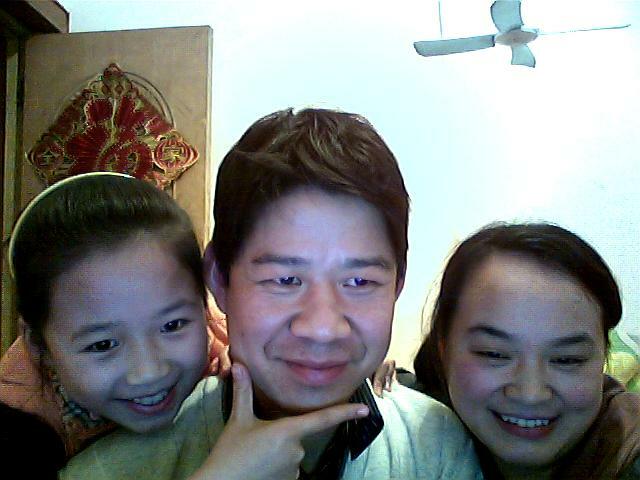 Cao Yongzhong suffered in great pain. A few hours later, Cao Yongzhong finally got into the operating room! But see his wife’s horrible, purple body, belly swelling very big, no cesarean section, thrown on the operating table even without trousers, blood dripping down a drop, drop by drop, the good wife is gone, the baby is also gone! Cao Yongzhong could not control tears flowed down. No any statement, no one explained, Zhang Ronghua had been laid quietly on the operating table for more than 30 hours, and the whole body began to drip! Many Cao Yongzhong’s relatives came to the hospital in succession, Cao tried hard to control his anger to negotiate it, but the administrator of the hospital shirked his responsibility and assigned more than 100 security guards to push more than 10 Cao’s relatives into automobiles and take them away illegally. The oldest family members were over 70 years old, and they were illegally detained in a manor called Qingshuiwan, for more than ten hours, all their correspondents were confiscated. During the illegal detention of more than ten hours, there was neither water nor food. There was a physical collision, Cao’s father was injured, and they were constantly threatened. During detention, the hospital held meeting with Cao as well as several families. The content of the meeting was that Cao Yongzhong’s wife’s death had nothing to do with the hospital, the hospital could give Cao Yongzhong 30,000 Yuan as condolence fund according to humanitarianism, if Cao Yongzhong cremated her wife’s body immediately, otherwise the police would enforce the cremation. Cao Yongzhong disagreed at that time. Then a man named Huo who claimed to be the director of the Political and Legal Commission, which Cao did not hear clearly, but saw his work permit as five-star judge, spoke to Cao:”You can accuse me! In Tengzhou, I am not afraid of anything” He also told that even in Cao’s his hometown Wuhu; he had classmates as directors, and had friends in many parts of the country. What’s more abhorrent was that a few people wearing police uniforms viciously warned Cao Yongzhong that if he made any problems, he would be locked up immediately! Cao said that he was going to contact with public media. At this time, a leader knocked the table vigorously, stood up, pointed to Cao and scolded him, called Cao to leave immediately, saying that the medias were also under their control! There were many policemen, security guards and unfriendly people in casual clothes, Cao was afraid that he and his families would be suffer from their poisonous hands, dared not say anything more. Because of fear to the public authority, Cao Yongzhong had to transport his wife’s body to the funeral parlor in tears and froze it. In opinion of Cao Yongzhong and his families, the tragedy was man-made completely. 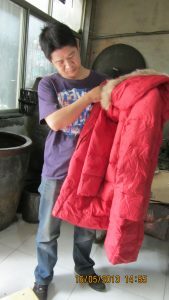 Zhang Ronghua, as a disregarded migrant labor, did not provide a birth certificate during her pregnancy in Tengzhou Maternal and Child Health Hospital, especially in the case of failing to meet the medical staff’s request for an additional 200 Yuan (in fact, this sum is the medical staff’s extra and private claim), which led to her death because of irresponsible behavior of the medical staff. In this regard, representative of the hospital said, the medical staff asked Zhang Ronghua to be hospitalized immediately at the birth registration, but Zhang had not done like that until 16.15 p.m. on October 2th, 2012,so she failed to comply with the doctor’s instructions. A normal and official statement reason for Zhang Ronghua and her fetus’s tragic death presented by Tengzhou Maternal and Child Health Hospital was: “Academic consensus is that artificial rupture of membranes is one of the high-risk factors for amniotic fluid embolism, there are few such sudden and catastrophic medical situations. Tengzhou Maternal and Child Health Hospital is a second-level hospital at the grass-roots level. The deceased suffered from amniotic fluid embolism at 3:45 that day, and all the medical staff had done their best to rescue her every minute, the diagnosis was timely, the treatment was correct, and the maternal and child died of an outbreak of amniotic fluid embolism, which is a difficult problem that cannot be solved in medicine at present, our hospital was unable to dispose it certainly, we want to express deep unfortunate and regret.” A bunch of medical records and data from unknown sources was also listed to prove it. 1. The deputy of the hospital said that Zhang Ronghua entered the operating room at 4:10 a.m., and died at 4:45 a.m. But when the family members arrived at the hospital at 5:30, they found that at least 100 security guards had been sent to surround the operating room. That’s a large problem! In common sense the security guards were basically not at work at that time, usually there were about a dozen security guards at the hospital during the day. Why were more than 100 security guards mobilized against the families of the deceased? It took at least one or two hours for at four or five o’clock in the morning in such small county. That is to say, when the families arrived at 5:30 and saw so many security guards who actually had been called at 4 o’clock or earlier. The question is, before the families have not yet arrived at the hospital, more than 100 security guards were called to the hospital to do what? What happened inside the operating room during the hours when the security guards surrounding the operating room? Later, a large number of security guards and thugs were mobilized to detain the families whose communicating devices were confiscated, in a suburban area called Qingshuiwan, one day long, they had been threatening and intimidating the families to remove the body before releasing them! Why? Did the failure of the medical staff asking for red envelopes have anything to do with the maternal death? Were pregnant women without birth certificate discriminated? What is the purpose to withdraw the medicines and the medical records, to destroy evidences by using large number of security forces? For the questions raised by the families, the hospital refuses to respond positively for various reasons. So far, the families have not received any oral or written responses from the hospital! When the pregnant woman was admitted into the hospital, the medical staff asked for birth certificate and red envelope, but the husband did not bring cash not to give them the red envelope, and there was a dispute! Was it related to the negative rescue or even deliberate failure to rescue in the hospital? The doctor’s provisional order was executed at 16:43 on Oct. 2th to monitor the fetal heart rate, in his reply to the appraisal organization, he said: “There are birth process records and continuous fetal heart rate monitoring after entry to the maternity room, “ The woman was admitted to the maternity room at 2:00 a.m. on October 3th, but strangely, there is not a complete corresponding birth process chart in the medical record, only about 03:35-03:54 am. Where are the other fetal heart monitoring charts?– Obviously, the hospital staff hid the fetal heart rate monitoring charts for other periods. Why did the hospital staff hide other charts? Please provide other charts. The medical records show that “opened three venous channels” during the period in maternity room, but the woman did not have any fluid treatment when she was transferring out from maternity room. Please provide the video data of that day to verify! Since there is monitor, why dare not to provide the video? In addition, since three venous channels had been opened, what drugs had been used? Why does the doctor’s advice show that a total of two bottles of medicines were used on the pregnant woman? Where are the three channels? In the reply to the appraisal organization, the doctor admitted that after the woman was transferred to the operating room, the medical treatment was delayed, the doctor moved equipment of type-B ultrasonic to the operating room, in case if the maternal patient’s life is in danger , what is the purpose of the type-B ultrasonic operating? Now that the type-B ultrasonic operating has been done, where is the report? Please provide it. Where are the birth process records? Why do you hide them? The deputy of the hospital said that the emergency doctor was notified to rescue when the pregnant patient was sick in the maternity room, but the fact which can be proved by video was that there were only several young nurses but there were no doctors in the maternity room! This shows that in the maternity room, there was no medical treatment at all. Obviously it was intentional failure to rescue, what is the intention? After the maternal death, the hospital did not issue a death notice, why? According to the state regulation, a death notice must be issued after a death in hospital. What is about the death notice? 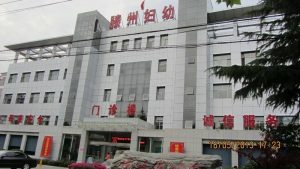 The most importance is that the families urged to seal the medical records and remnants at the first time after the maternal death, Why did the hospital assign a large number of security guards to surround the operating room, beat family members and forcibly withdraw all the remaining medicines? What kinds of medicines were injected to the pregnant woman? Why should drugs be withdrawn at the risk of crime, and why should evidence be destroyed? All of the above mentioned by the attorney of the families are facts. Tengzhou Maternal and Child Health Hospital promised many medias that there were surveillance videos. Why does the hospital dare not to show the videos? On May 16, 2013, the families accompanied by volunteers of WRIC and enthusiasts came to the hospital, hope to find out the real cause of Zhang Ronghua’s death, because the families have seen and heard too many doubts with the hospital about this tragic tragedy. According to Cao Yongzhong and his families, they came to the hospital several times, but they were all refused and fooled by the hospital in a variety of ways, and even were threatened. Zhang Ronghua could not rest in peace in heaven as the case has not been settled finally. Thanks to the intervention of WRIC, the deputy of the hospital received us, but said that Yang Bilan who was the president of the hospital then have gone (rumored on the Internet that her brother is a vice mayor and her background is very strong). The new president was just on a business trip, and only a section chief surnamed Yang faced us. As far as we know, the president disappeared already at the time of the incident , while the new leaders was delaying under excuse that he do not know much about the case, and need further verification, attempted to minimize and trivialize this serious medical accident and human rights violation. So far, this event can be confirmed that the maternal death was caused by amniotic fluid embolism. Excessive use of oxytocin, unreasonable artificial rupture of membranes and many other behaviors can lead to amniotic fluid embolism. But after the accident, the hospital staff did a large number of efforts to destroy remaining medicines and medical records that ought to be sealed up. The real cause of Zhang Ronghua’s death was not known directly. Now the truth is unknown. According to the relevant laws and regulations, due to the hospital’s own reasons, it is impossible to find out the truth, and the hospital is for all the responsibilities. Seven months have passed since Zhang Ronghua and her fetus’s death occurred. 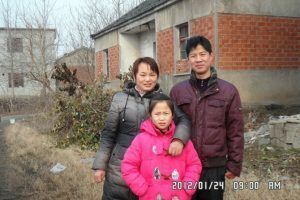 Cao Yongzhong and his family had to ask the medias for help, hoping that the domestic and foreign media would pay close attention to the tragic plight of domestic women and seek justice for their dead family. To this end, the majority of WRIC’S volunteers strongly urge relevant departments of Shandong Province and Tengzhou City to thoroughly investigate this serious violation of women rights, and publish the investigation report to the world, so that Zhang Ronghua can rest in the heaven. Later, the hospital agreed to compensate for 1 million Yuan according to the local court sentence, unless Zhang’s family accept interview from foreign medias. Illustration of left pic: Zhang Ronghua’s daughter often cries and asks her grandma: Why is it good for someone’s mother to have a baby? Why is my mother not?